Tart, seasonal cranberries meet bright, sweet oranges to make a compact, portable, easy to make breakfast for little hands, or on the go! The last couple years have given me this sense of needing to slow down and just enjoy it. I know that while the holidays will always be fun with my family, the type of “fun” will be in ever-changing ways as the girls get older, and I want to savor this little kid season we are in right now. 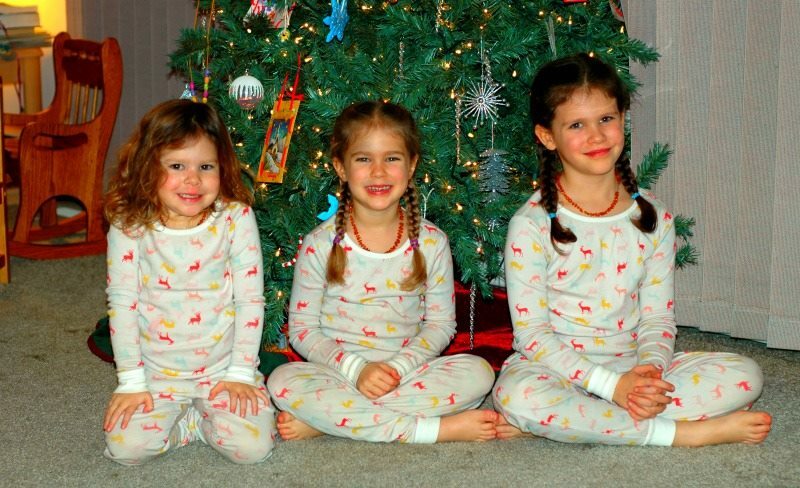 While this foodie momma would just *love* to plan out an elaborate Christmas morning breakfast for everyone to help make and enjoy eating, breakfast is about the last thing on these little one’s minds on Christmas morning! Fun and fast food prep! A happy medium is the answer right?! 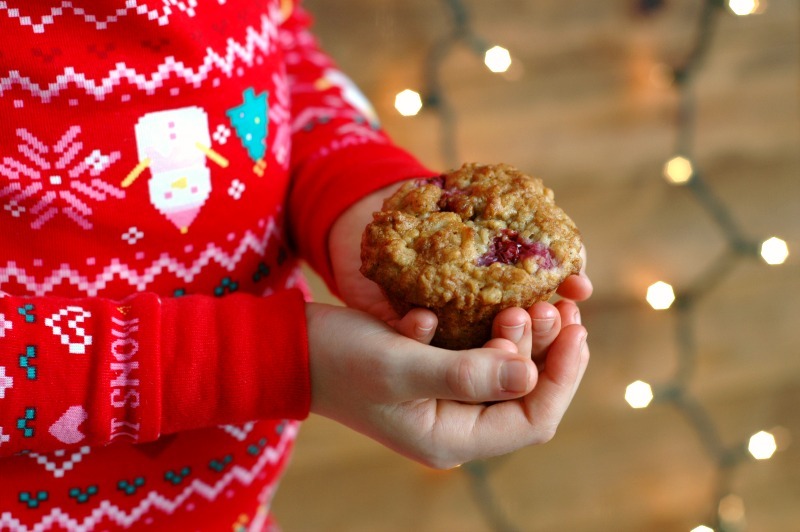 Last year I created these super yummy blender batter cranberry breakfast cookies that became a huge hit on this blog even outside of the Christmas season. They made a fun, fast breakfast the kids could munch on while they enjoyed tearing into their gifts and playing with a new toy. Last year they ended up working perfectly as a “first breakfast,” and then we had a nice brunch later in the morning when I had some time to cook. We fell in love with this concept, so I decided to create another fast holiday breakfast option to have fun with this year. This summer, a bushel full of peaches inspired me to fill my freezer with school morning friendly *portable* peach baked oatmeal cups. They have been so nice this fall on busy school mornings, and I thought maybe I’d do a spin on those with a more holiday season flavor profile! 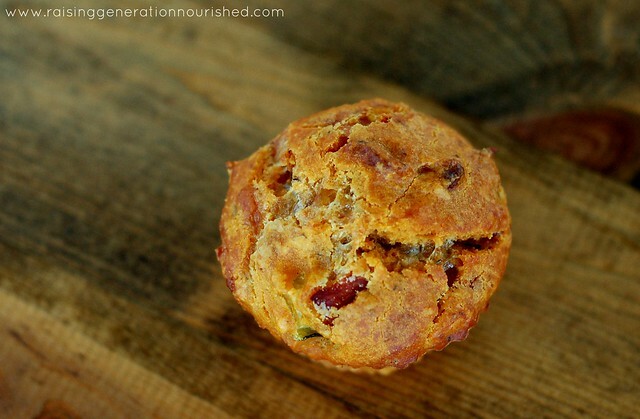 Sweet and tart cranberries and a subtle bright freshness from an orange…what’s not to love?! 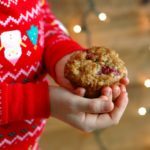 I have made at least 6 batches of these cranberry orange muffin baked oat cups, and I’ve got some tips to help you customize them to your family’s preferences! I’ve made batches of all fresh cranberries, and some with all dried cranberries, and both turn out well! It all really boils down to your flavor preferences. 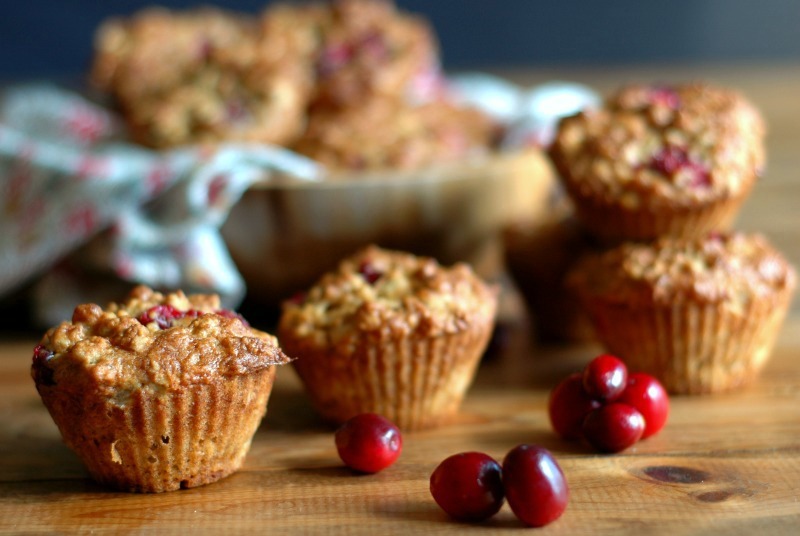 If you love the tartness of a fresh cranberry, there is enough sweetness in the muffin to balance it so you aren’t puckering! This was our favorite way to make them. 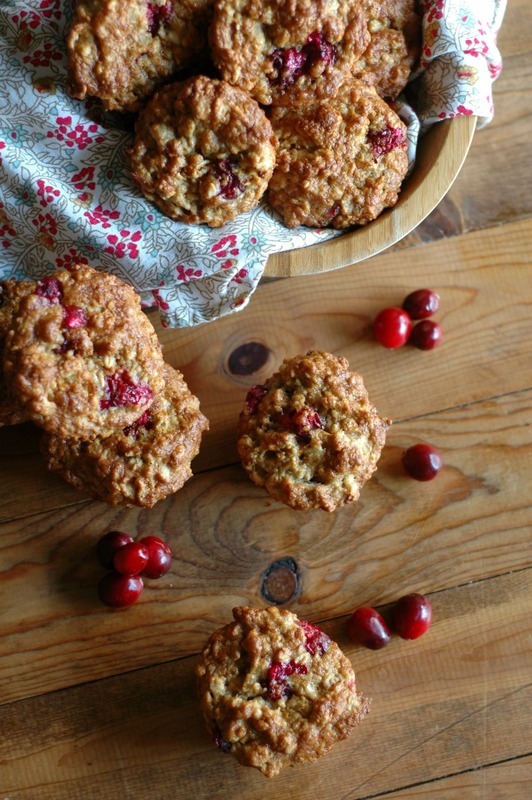 If you prefer sweeter dried cranberries, go for it! It turns out great too! 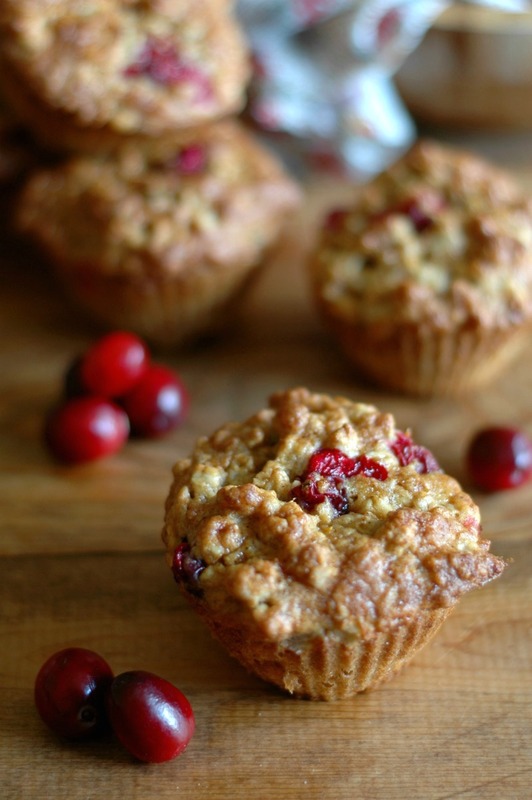 I made one batch with chopped fresh cranberries – it does back off the tart punch if you are afraid of that. We still really loved the whole fresh cranberries as our favorite. Don’t leave the orange zest out! It really helps with the hint of orange flavor. The juice isn’t quite enough! A practical solution to enjoying a childhood full of fun Christmas mornings! I really hope that what has become a family tradition of fun, faster prep Christmas morning breakfasts for our family will help you to enjoy this precious time with your kids at this age even more. I’d love to see what you end up making – if you post to Instagram, hashtag #raisinggenerationnourished and give me a tag so I can see! Wishing you and your family a merry Christmas! 2 cups oats Not quick oats. If you are gluten free, make sure your oats say gluten free like these. 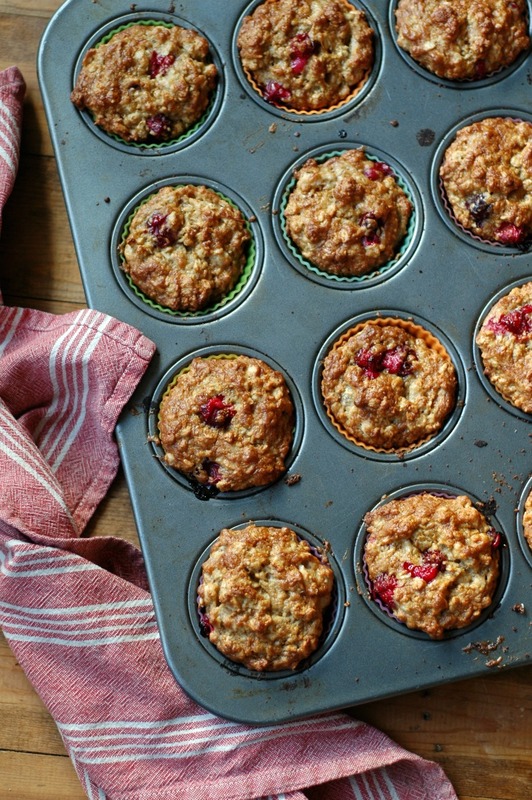 Coconut sugar to sprinkle the tops optional, but the flavor is so good with these! Put the oats and gluten free flour blend in a medium mixing bowl. Stir in the coconut milk and lemon juice. The mixture will be thick. Cover with a towel and let the mixture soak overnight about 8 hours. This soaking process breaks down the phytic acid in the oats and flour, making it easier on digestion. It also allows the nutrients in the grains to be absorbed better. The next morning, pre-heat your oven to 350 degrees. Scoop the batter into a muffin tin lined with <a target="_blank" href="https://www.amazon.com/gp/product/B00SS5M7DM/ref=as_li_tl?ie=UTF8&camp=1789&creative=9325&creativeASIN=B00SS5M7DM&linkCode=as2&tag=simmomrev-20&linkId=4ea85b1dec383f1e88edfeca50f98d2a">silicone muffin cups</a><img src="//ir-na.amazon-adsystem.com/e/ir?t=simmomrev-20&l=am2&o=1&a=B00SS5M7DM" width="1" height="1" border="0" alt="" style="border:none !important; margin:0px !important;" /> (or, if you don’t have silicone muffin cups, you can butter your muffin tin to prevent sticking). 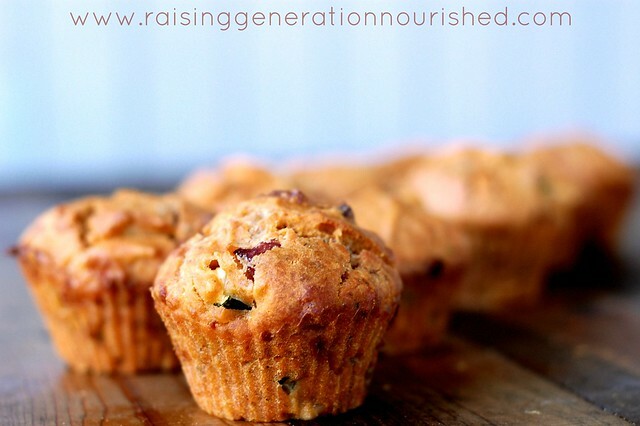 Sprinkle the tops of each muffin with coconut sugar if you choose. Bake the baked oat cups at 350 degrees for 30-35 minutes until the tops are golden brown (check them around the 30 minute mark in case our ovens run differently). Let the muffins cool 5 minutes in the pan before turning them out to a cooling rack for 10 minutes before eating. Recipe makes 12 large muffins. You could make them smaller and get 18 – if you have real little ones in the house, I’d make them smaller so they can eat a whole muffin. 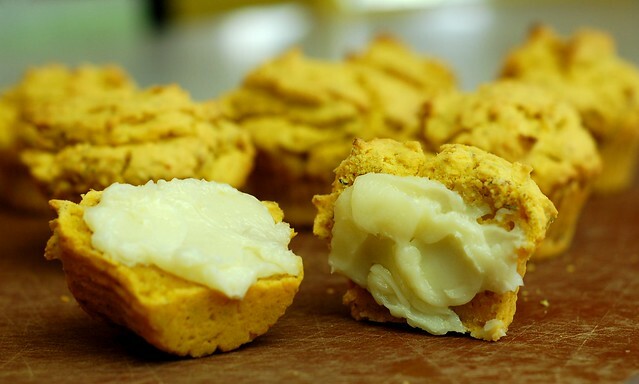 You will probably need more like 30 minutes to bake if you make them smaller. 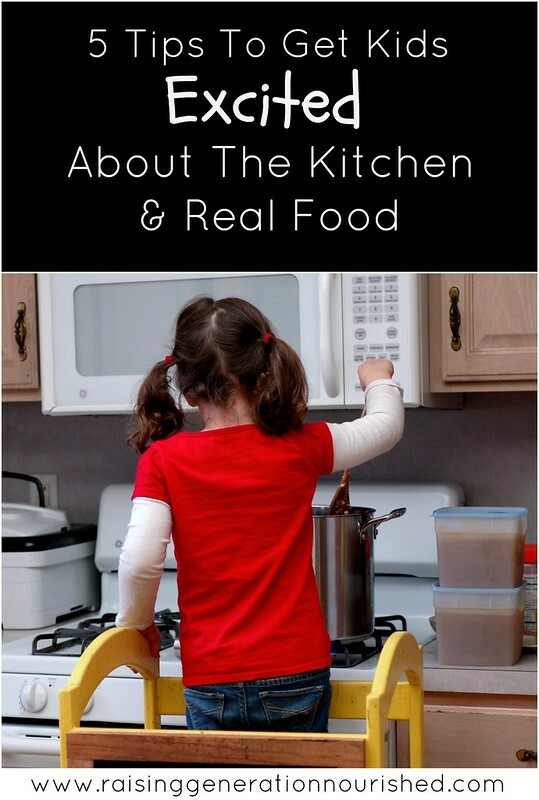 One of my biggest goals in starting this blog was to help people get their kids excited about real food – and about the process of making it. The greatest tragedy of the culture I live in is the disconnect we have with our food. 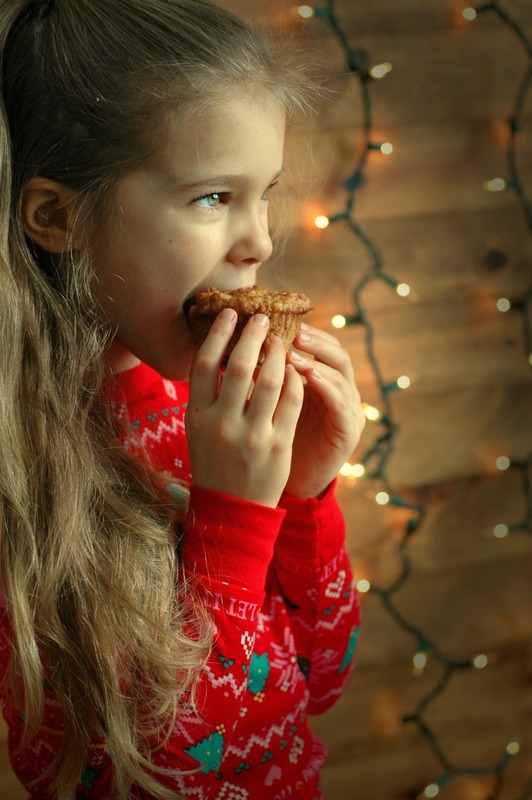 There is no ownership – kids inhale a box of cereal or a plastic wrapped cupcake barely tasting it, rather than savoring the love and attention that would go into a homemade cookie. When kids own something, they appreciate it more. 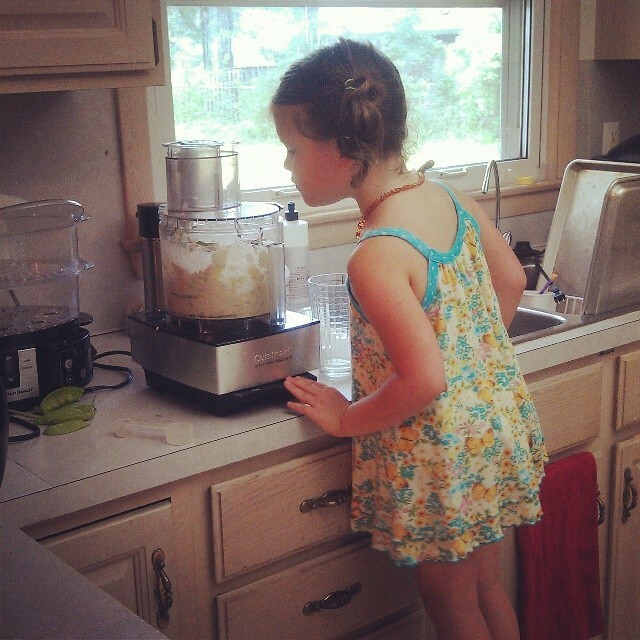 When kids are made a part of the kitchen process in the home, there is more pride. 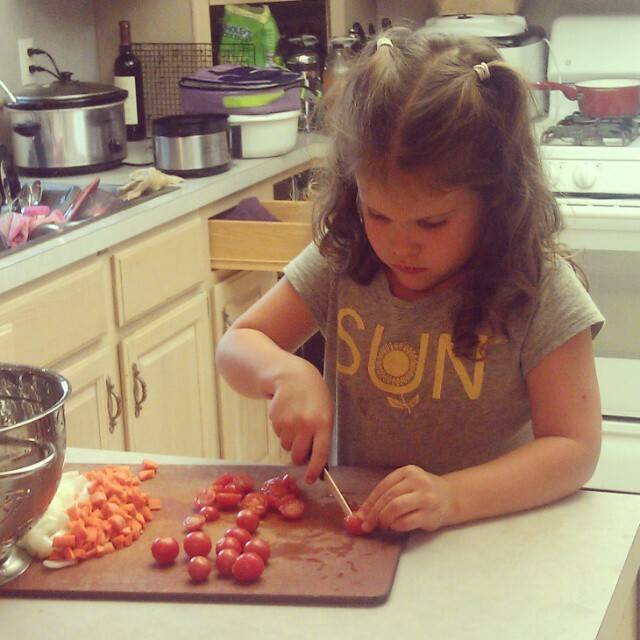 When kids are given the tools to make their own food (both the physical tools and how to use them, along with the skills to cook), we raise a culture of children that will grow up more independent and less reliant on processed food. 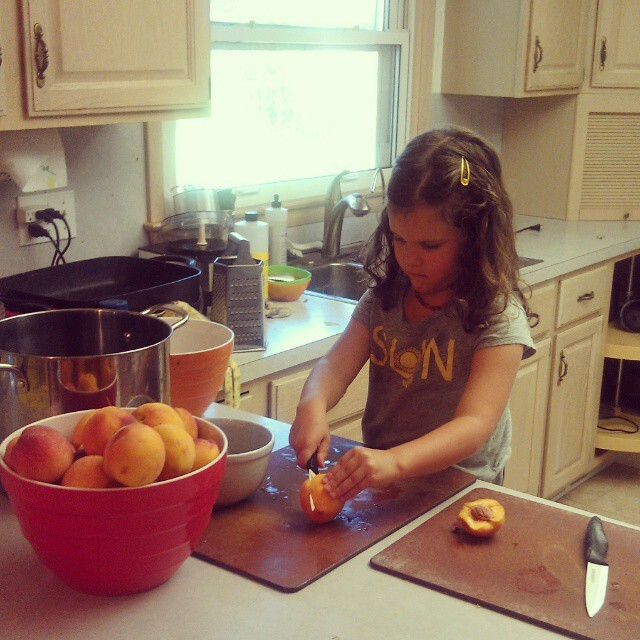 But taking the extra time to show them how to properly follow a recipe, and guide them to peel, chop, and stir has awarded me children that at the age of 5 can successfully slice, pit, and quarter into a pot a bushel of peaches to make peach butter. 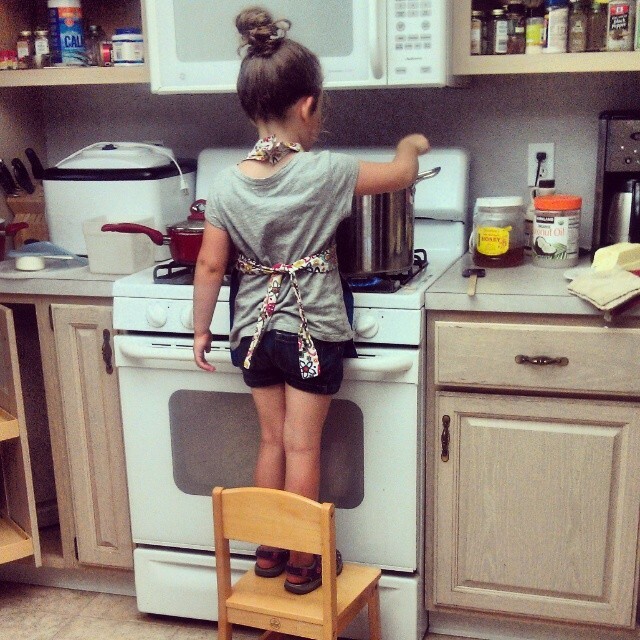 It has awarded me a 3 year old that is trustworthy enough to stir a pot of soup while I wipe up the baby from a meal. The extra time is worth the helping hands they become – and the greatest reward is having a house full of children that truly enjoy any food – because they have been made a part of it. Here are some tips to get them in on the action! Let them help plan: Set out the recipes and let them help with the grocery or farmer’s market list! Talk about what is in season, show them how to stretch that whole chicken to last you all week, talk about that family gathering you need to bake cookies for. There are more lessons here than just the food – budgeting, resourcefulness, etc are all life skills that are invaluable. Let them help shop: Show them how to pick out that piece of fruit or vegetable. Let them find the item on the shelf and pick it out. 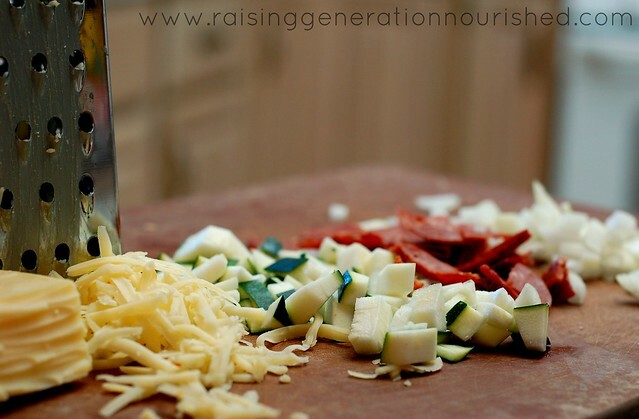 Let them help food prep: From age 18 months or so you can start having those little ones up with you at the sink washing up produce, putting the items you have cut up onto a plate, and helping dump a measuring cup of flour into a bowl. By age 2 or 3 they’ll be doing it on their own! Get those squashes up on the counter for them to scoop the seeds out. Let them help you pull the chicken meat off a roasted chicken (after it has cooled!). As they become more trustworthy you can work with a small knife on simple slicing skills. You will be amazed at just how proud they will be when they conquer this! Let them help cook: Get your hand over theirs and show them how to stir a bowl of batter. Let them stand up with you at the soup pot and watch you stir and then you can get your hand over theirs to help them learn to do it themselves. Let your 4 or 5 year old practice flipping a washcloth with a spatula and then let them try a pancake in the pan with your help. The look of accomplishment on their face is priceless. Let them help serve & clean up: Practice walking with empty trays first around age 3 or so and add an empty bowl/plate/cup. After a while of practicing, fill the bowls and cups up with water, and progress from there. 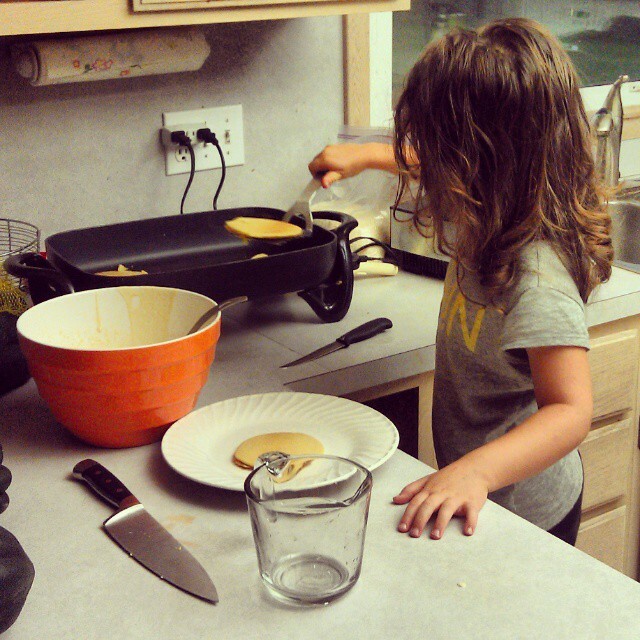 Teach them how to clean up after their kitchen tasks and let them do the dishes – Yes! It takes so much more time at first. 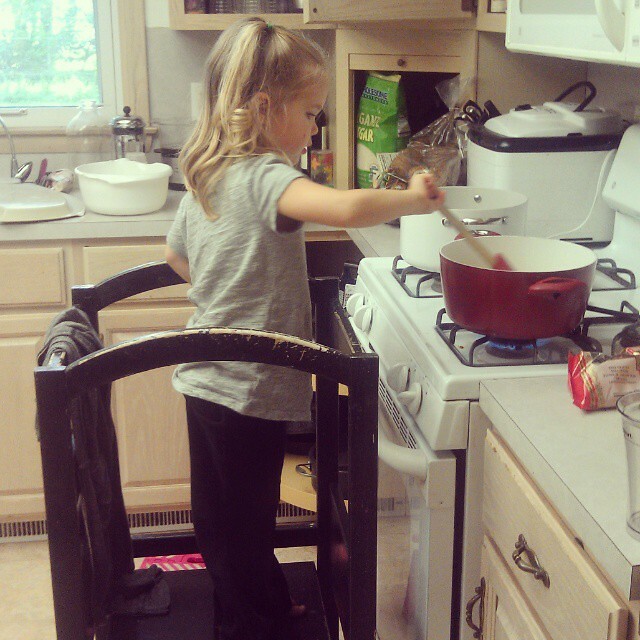 But before you know it your 5 year old can practically do the dishes herself. 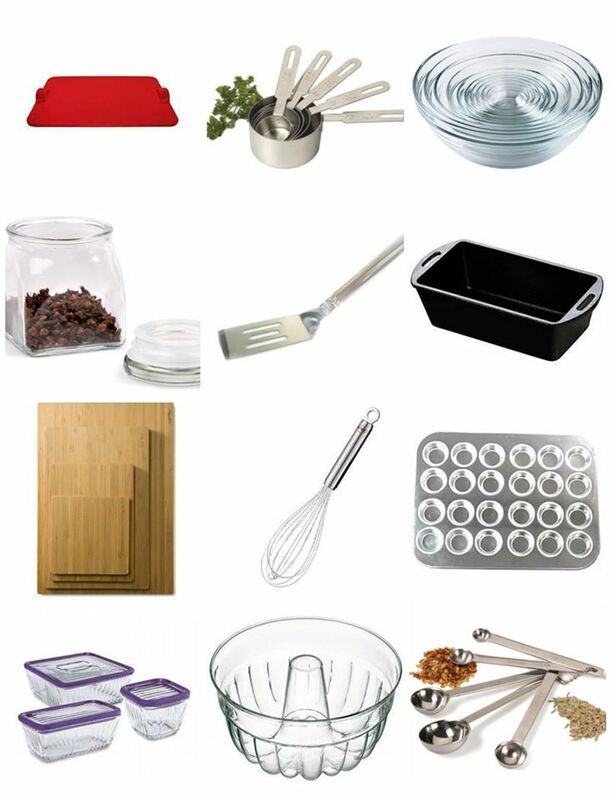 It is even more exciting to get into your kitchen to make things happen when you have amazing kitchen tools! I am really excited to be a host for a giveaway brought to you by MightyNest! You can enter to win $250 in baking essentials that you and the children can have fun with this fall! MightyNest is known for providing the natural, organic, and non-toxic products. Everything you find on their site is selected to be free from known toxic ingredients such as BPA, PVC, Phthalates, Lead, Formaldehyde, flame retardants, Parabens and more. Also, anytime you order from MightyNest, they’ll give 15% back to the school of your choice. It’s a great way to use safer products and support your local school! I can’t wait to hear all that you make in your kitchens this season! Here’s what we’re giving away! To enter the giveaway, use the widget below! 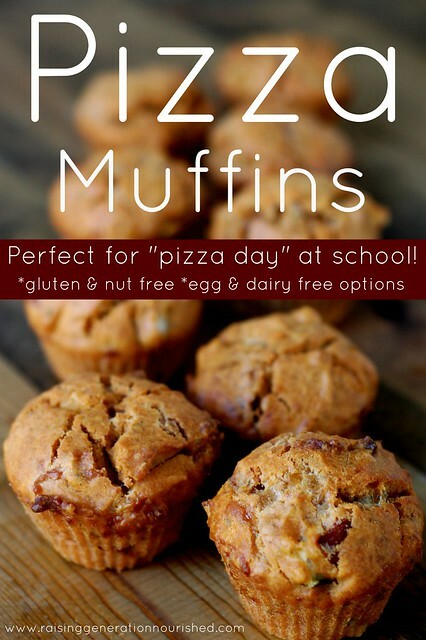 Pizza Muffins :: Perfect For “Pizza Day” At School! Brings back memories, doesn’t it?! That school pizza could look a hundred years old, but I would always still go for it because, well, it’s pizza! I was thinking I was going to get away with not having to deal with pizza day since my daughter’s Montessori school does not have a school lunch program, but I just found out last week that they do have a fundraiser once a month selling pizza at lunchtime from a local shop. While I completely support the fundraiser cause, I am not a huge fan of the pizza source, not to mention my daughter has to be gluten free. My original thought was to ensure we had gluten free pizza night sometime within the week before this pizza day so that my daughter didn’t have to feel left out. I could send her along to school with some pizza leftovers, and I would still donate money to the fundraiser cause since I believe in its support. I will probably still do that here and there, but pizza night is usually saved for special days or weekends with Daddy. A friend of mine had mentioned the idea of a pizza muffin at one point and I was intrigued. I ended up playing around with the idea last week and was very pleasantly surprised at the outcome! It made a fun dinner that evening with side Caesar salads, and leftovers were packed away for the end of this month on pizza day. 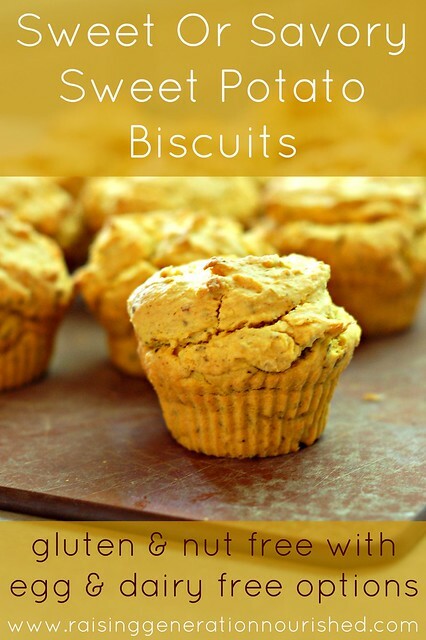 Pizza Muffins :: Perfect For "Pizza Day" At School! Perfectly portioned pizza. Kids will love to dip these in sauce. Perfect to pack for lunches, too. 3/4 cup organic pizza sauce Homemade or just watch those ingredients! 1/2 cup melted butter or coconut oil. Or olive or avocado oil would work. Heaping 1/2 cup chopped pepperoni Could do cooked sausage or ham too! Everything but the veggies, pepperoni, and cheese into a large mixing bowl and beat with hand beaters until well combined. Fold in the veggies, pepperoni, and cheese. 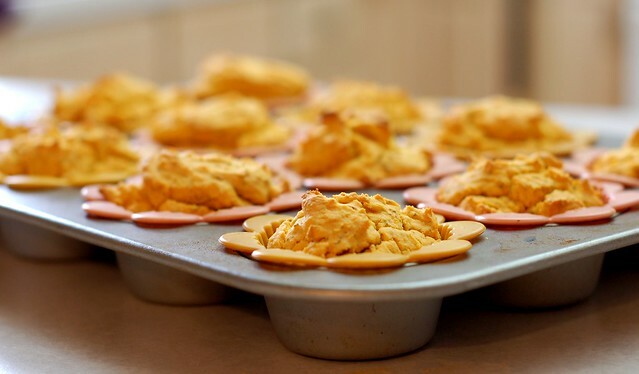 Bake in silicone muffin cups (or buttered muffin tin) at 375 degrees for 25-30 minutes. This batch makes 1 dozen muffins. Individually wrap, and then into a freezer bag for freezer storage. You could put the frozen muffin right into the lunchbox and it will be thaw by lunchtime! If you are egg free I do still think this will work! What I would do is use 2 flax eggs or 2 gelatin eggs. This will help with the bind. To make the rise of the eggs I would add 2TB of apple cider vinegar and a tsp of baking soda. This really does the rise trick! If you are dairy free just leave out the cheese all together. You could add a bit more sea salt to create the salty bite of cheese if you want. Some people that are off cow dairy can tolerate sheep or goat milk so those cheeses are an option if that works for you. Start to finish getting the muffins into the cups took me 15 minutes including clean up. This is really a time saver since making actual pizza is a little more hands on time. Here is where I buy and save money on all of my tapioca flour , white rice flour , sorghum flour , and brown rice flour . It seems like a lot to have 4 different flours around but you don’t use much in each recipe and when you blend the flour this way it mimics all purpose “regular” flour better. If you haven’t already gathered, I am a huge fan of the silicone muffin cups. Not only is clean up easier, but I really feel like the muffins come out with a better rise. Here are the flower silicone cups I have, and here are some plain color muffin cups . Looking for a great pizza night pizza?! Try The BEST Gluten Free Pizza Crust you have ever had – it is our favorite! 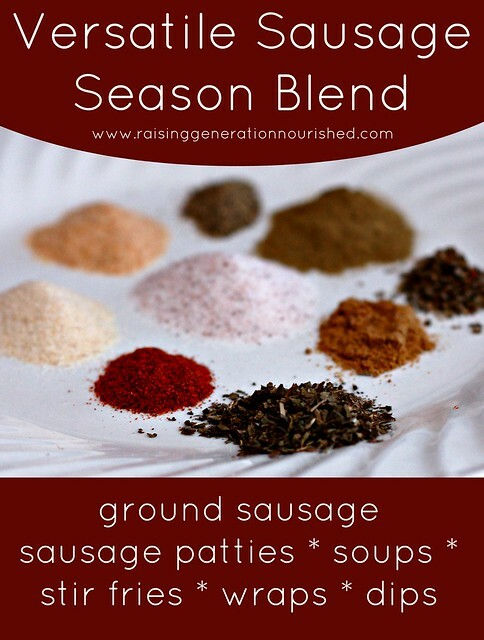 This seasoning blend is one of my favorite, and I use it almost weekly. 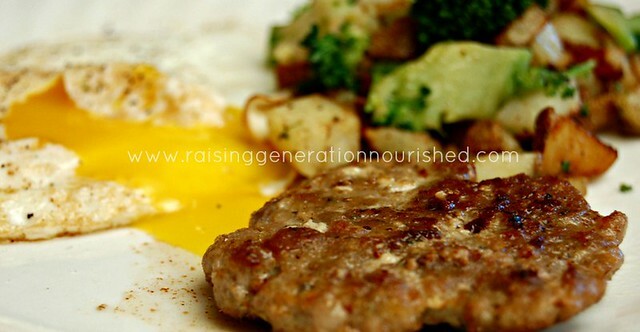 Years ago I nailed down this recipe when I wanted to save a little bit of money making my own breakfast sausage. Our local farmer makes incredible ground sausage, but they also sell plain ground pork at a cheaper price. And when you are watching your pennies, it just makes sense to figure out your own seasoning blend and mix up your own. Too easy! I make a 2 pound batch of breakfast sausage and freeze into patties every few weeks. 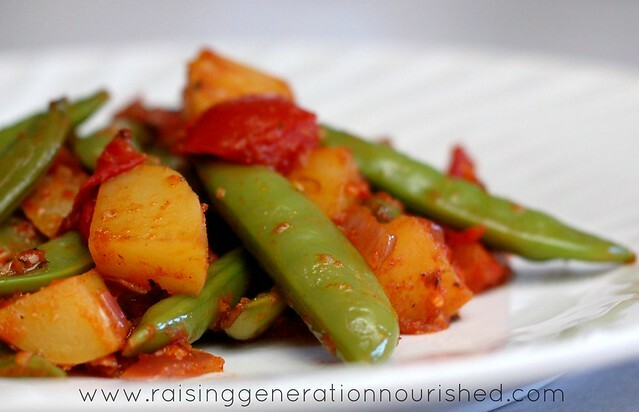 They pull out of the freezer so easy to fry up with the rest of your breakfast! But this blend can be used for so much more than just breakfast! We went through a period of time where we had a very tight meat budget. A couple times a week we would eat meatless for the day to save, and I started using this seasoning blend to give my soups and stir fries a bit more of a “meaty” flavor. My husband especially is quite the meat eater, so to make a bean soup taste like there is some sausage in there, or give a veggie stir fry a bit more zing, this blend is so good! I hope your family loves it as much as mine! Make it as is at first and then tailor the blend to your family’s taste! Combine all ingredients well in a medium mixing bowl using your hands, and form into patties. At this point you may either cook them off in some butter or coconut oil, OR you can lay them out flat on parchment paper lined baking sheets to freeze. Once frozen you can pull them off into freezer bags to store flat in the freezer. 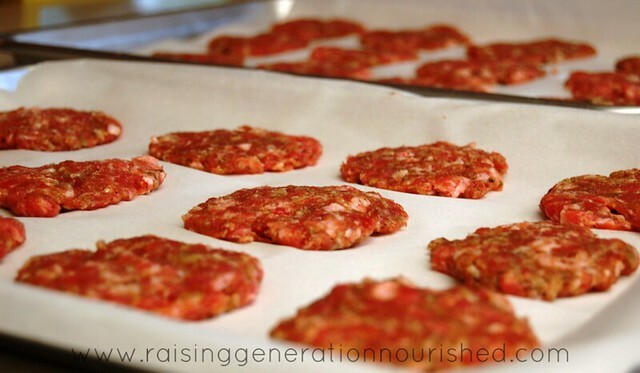 To use the frozen patties just pull out the night before to thaw and then cook in butter or coconut oil. 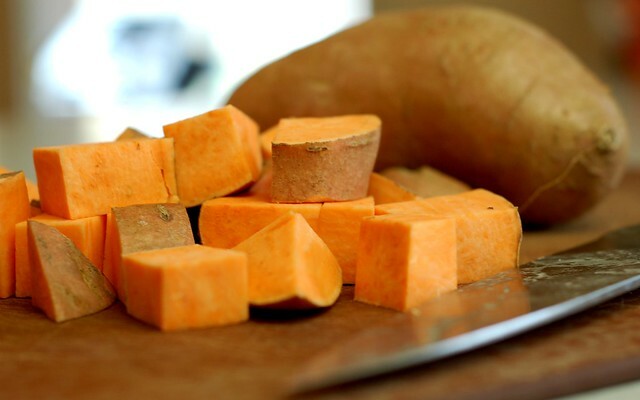 I have put them straight into the pan from the frozen state and this works – just go lower with the heat to unthaw them gently and ensure they don’t brown too much on the outside before the inside is cooked all the way. Mix up the sausage season blend in an empty spice container, and keep in your spice drawer. Use 1-2 tsp for a pot of soup or pan of stir fry to your taste. Mix up the sausage season blend and store in an empty container that has a shaker top so you can sprinkle the blend to taste into a dip or on your wrap.